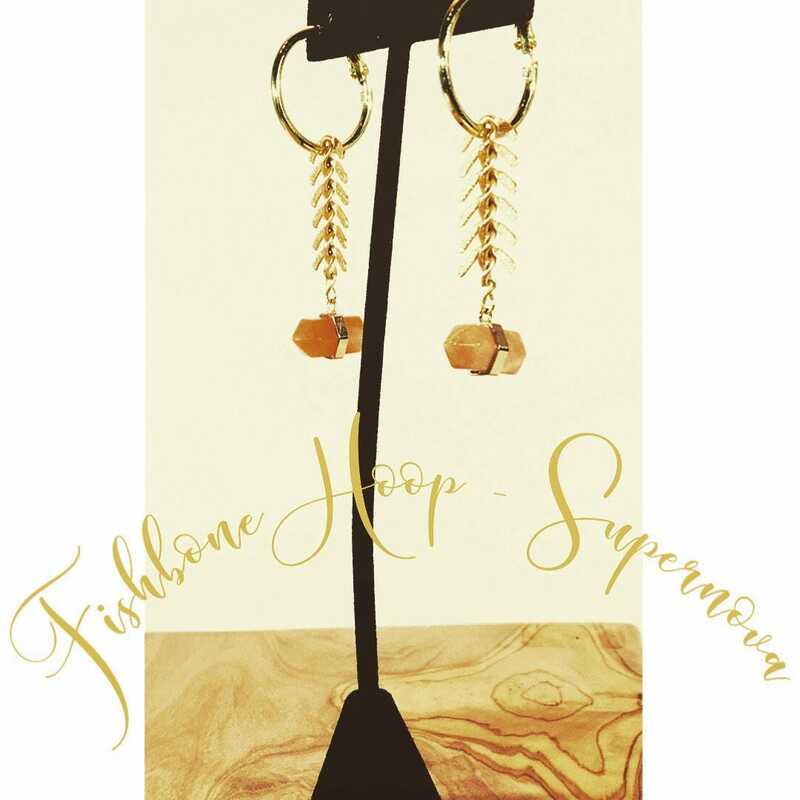 Gold hoop meets herringbone chain and a peach colored natural stone. These lovelies will turn heads. Perfect for your morning commute, date night or a fancy night out. The elegant combination of gold and stone with the stunning geometric affect of herringbone chain will make you the life of any party.